Municipal Waste, Recycling & Garbage Truck Leasing. Our 33rd Year! We specialize in VERY LOW INTEREST RATES for garbage truck, recycling equipment and vehicle leasing for state, county, local governments & districts. CALL or CLICK NOW for a quote on municipal garbage truck leasing rates and payments. USE ANY DEALER including from the state contract. All municipal lease-to-own financing is 100% turnkey and can Include anything your departnment needs including municipal garbage bins, municipal recylcing bins, dumpsters, polycarts, compactors, shredders and transfer station equipment, front loaders, compactors, trailers& methane gas capture & recycling equipment See our Municipal Waste & Recycling FAQ's. All municipal equipment is titled in your government's name at delivery. NO mileage, NO hours or usage restrictions, NO maintenance or condition requirements, NO LEASE-END BUYOUTS, ever. Y ou can make less of it, you can recycle it, you can burn it, bury it, shred it, compost or compact it. But inevitably your department will still have to collect it, haul it, and process it using specialized vehicles, equipment, containers and facilities–and that’s all expensive. With garbage truck leasing; state county & municipal governments can break the high cost garbage trucks and recycling equipment down-to-size and spread those costs over multiple budget periods. Have you already priced the equipment? Get a Quick Quote here. Our solid waste and garbage truck leasing allows you to match our extremely low interest municipal leasing payments on trucks and equipment to the user fees and taxes you are collecting now. Its a “pay as go” financial model for this expensive equipment, instead of the traditional “pay in advance for everything” trap that so many governments get tangled up in year-after-year. What you need, when you need it make your whole program work–start to finish. 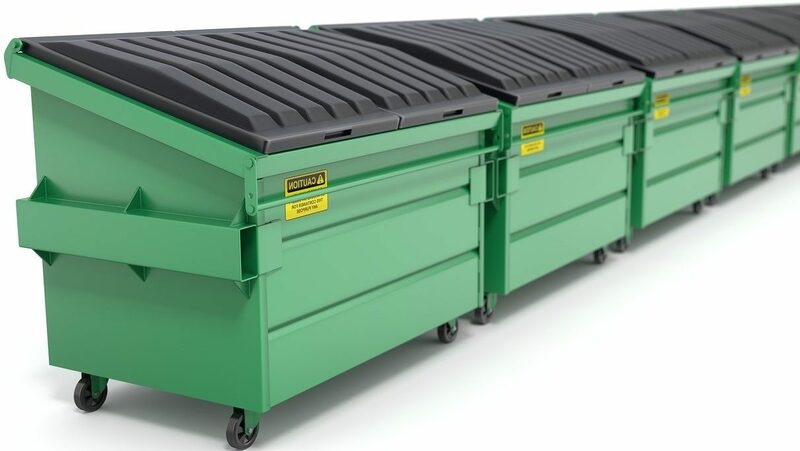 From commercial dumpsters, to recycling bins & poly carts for route pickups. Do you operate a municipal waste landfill, transfer station or facility? We can help there too, with very low interest municipal lease financing for front loaders, compactors, shredders, trailers and composting facilities. Even landfill methane gas capture and co-generation. It’s a fact. Municipal leasing for solid waste equipment & vehicles is lowest cost source of non-debt financing. Every program is designed specifically for municipal solid waste and vehicle fleet leasing! And whenever you’re ready, we’ll put it all together for you in a matter of days, not weeks or months. Just keep reading here on Municipal-Leasing.com, or call us now!